“Dame de Baigneuse” was sculpted by Étienne Hajdú in 1952. Étienne Hajdú, also known as István Hajdú (August 12, 1907 - March 24, 1996), was a Transylvania-born French sculptor of Jewish descent. 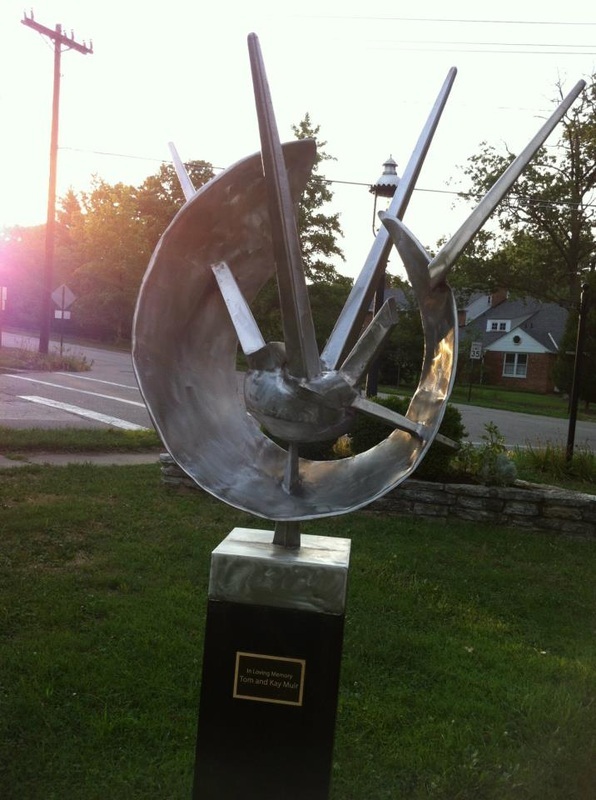 Donated by the Muir family, “Starburst” was created in 2009 by professional sculptor Tim Werrell (Timothy S. Werrell), a Glendale resident until he moved to North Carolina in 2001. Tim has a B.A. from Beloit College, Beloit, Wisconsin, 1979. 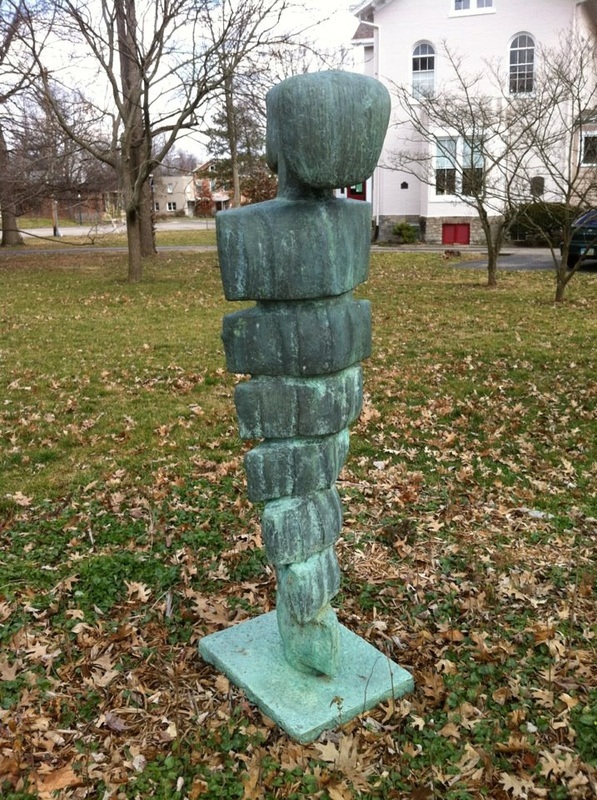 The sculpture shown here is "How Alike I am to You”, created in 2000 by Tim Werrell. It was commissioned for the 2001 anniversary of the 50th Children’s International Summer Village (CISV), the first of which was held in Glendale in 1951. 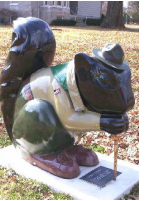 “Scout Fosdick” is one of approximately two dozen fiberglass squirrels dispersed throughout the village in 2005 to commemorate Glendale’s 150th birthday. Our squirrel is named after Samuel Fosdick, one of the founders of Glendale. Artist: Carolyn Cook, Glendale resident.